Travel buffs, lean in. Croatia is fast-becoming the kind of travel destination that should find its way to the top of your bucket list. From unforgettable Game of Thrones scenery and beautiful architecture, to a legendary music scene and the perfect climate; there are countless reasons why Croatia is becoming such a travel hot spot. 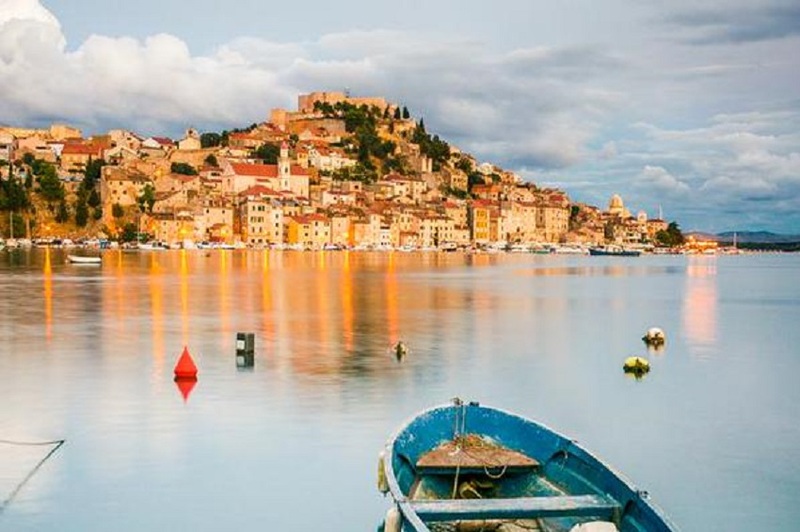 Often referred to as the new Ibiza, Croatia is a music mecca that’s quickly becoming the ultimate destination for music lovers seeking out top DJs and popular artists. Croatia boasts unbelievable festivals located at world-class venues under the sun in paradise. 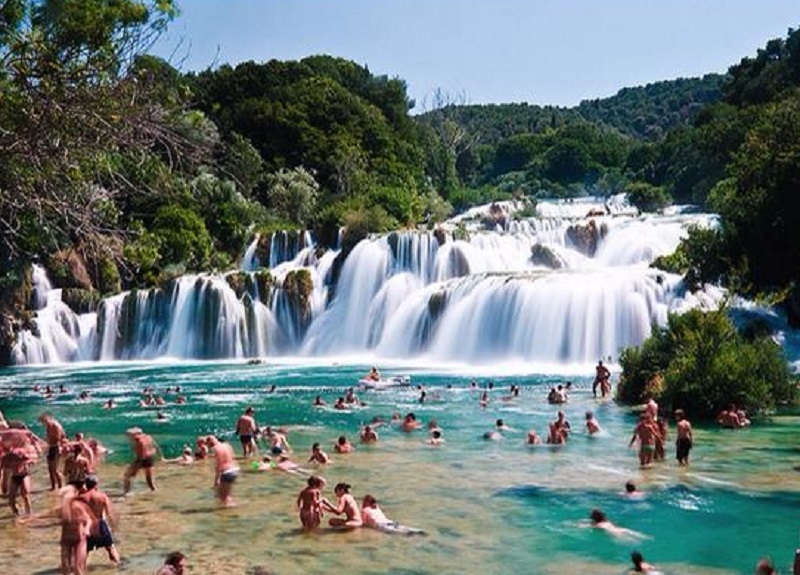 If you’re into music festivals, we highly suggest you plan a trip to Croatia for the summer of 2016. Croatia’s Hideout Festival, Ultra Europe and Fresh Island Festival are some of next summer’s biggest draws, most of them taking place on the beautiful island of Pag at the famous Zrce beach. Tickets go on sale at the end of October and last year, they sold out within two weeks. Croatia Wave helps travellers who wish to plan their trip to Croatia around the music festivals, by offering organized festival packages, including accommodation nearby. The stunning and clear turquoise-blue water of the Adriatic Sea is at your fingertips in Croatia. The sea is almost as gorgeous as the vivid green lakes at Croatia’s national parks. Krka National Park, near the island of Pag, boasts a jaw-dropping vivid green lake you can swim in – and it’s fed by a massive waterfall. Plitvice Lakes has stunning lakes of a similar intense green colour, but you can only take photos – no swimming allowed. It’s still absolutely stunning, though. If you take the Oh! So Croatia bus tour, you’ll be taken to both of these unforgettable national parks, as well as several of Croatia’s other natural OMGs. Dubrovnik is one of the most unique, charming and beautiful cities in the world. Walking ‘the wall’ is a must. 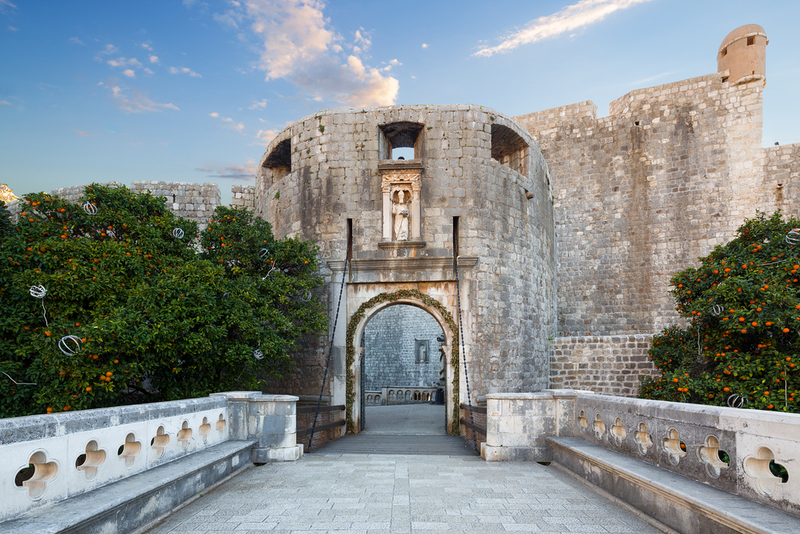 The medieval wall in old town Dubrovnik was partly built in the 15th, 16th and 17th centuries and offers views of fortresses, the Adriatic Sea and the city’s gorgeous architecture. For the most unforgettable stay possible in this Pearl of the Adriatic, check out Prijeko Palace. 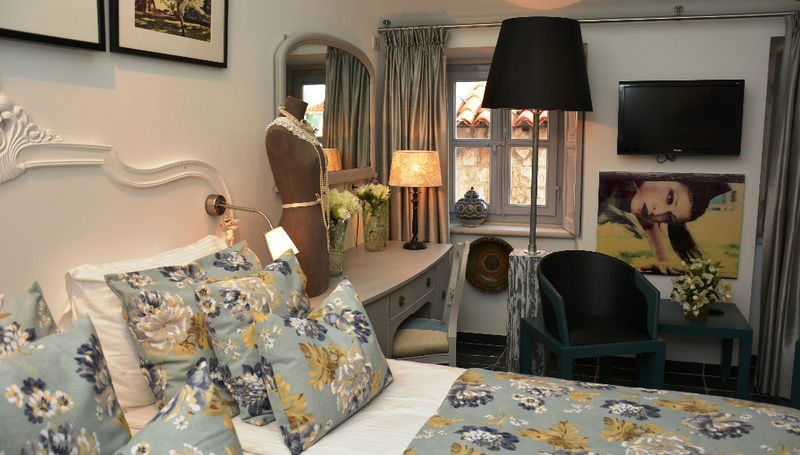 Prijeko Palace Hotel boasts charming rooms in an iconic house built in 1470. They have brilliantly dedicated each of their hotel rooms to well-known international artists, so each is uniquely decorated with beautiful original decor. Real grapes grow from vines on your 15th century balcony, and your view is of the charming streets of old town Dubrovnik. The location is ideal – some of the best restaurants in Croatia are hidden in the side streets of this historic walled city. This area is also where several scenes from the HBO hit Game of Thrones are filmed. 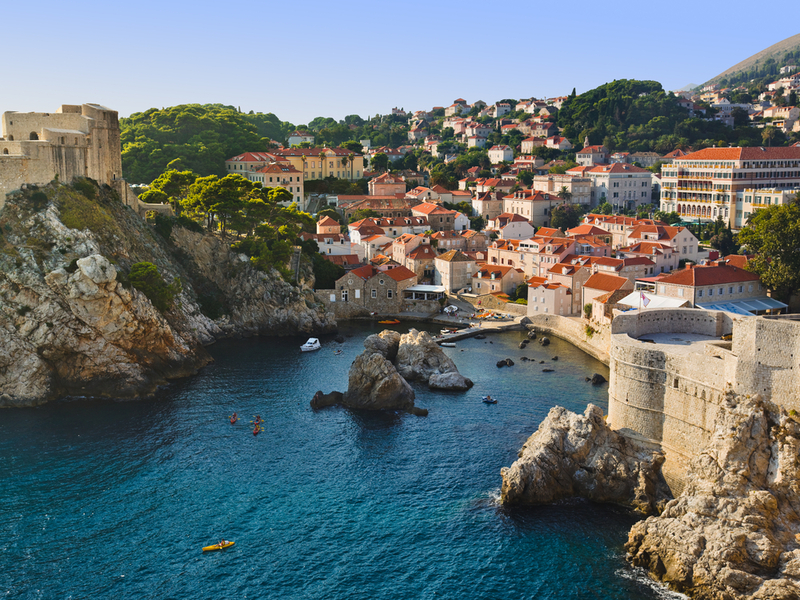 You simply can’t leave Croatia without seeing Dubrovnik. If you’re staying on the island of Pag to attend a music festival, it’s quite easy to get here. Simply drive a couple of hours to Split and take a ferry. Even easier is to hop on the Oh! So Croatia bus tour, which ends in the city. Hvar Island is another must-see while you’re in Croatia, and getting there is an easy (and cheap) ferry trip from Dubrovnik. A charming port and harbor city, Hvar has awesome waterfront restaurants and bars, and very unique nightlife scene. By a landslide, the best hotel to stay at in Hvar is Hotel Amfora, a luxury resort with cascading waterfall pools and a swim-up bar. When it comes to nightlife, the Central Park Club Hvar has some of the best live music you’ll ever see, and upstairs is a fine dining restaurant with a beautiful terrace view. Hvar’s Hulu Hula Beach Bar allows travelers to experience a taste of Hawaii while in Croatia. Elsewhere Carpe Diem, an after-party beach club, opens at 1 a.m. and is accessible via water taxi. Forgoing the usual bar scene, many travelers often simply purchase a Somersby cider and a slice of delicious Mediterranean pizza from the local tobacco shop. They’ll then eat and drink with their friends on the harbour-front walkway, dangle their legs into the cool Adriatic sea and people watch. Since the music from the harbor-front’s bars can still be heard from the walkway, it’s the perfect solution for those who want to experience Hvar’s nightlife without being in a crowded club or bar. Renting a boat once you arrive in Hvar is a must if you want to see the iconic blue and green caves. At the green cave, you can swim in pristine green waters, while cliff jumping off the top of the cave is an option for the daredevils of your group. The blue cave encloses the most epic electric-blue water, and although swimming is not allowed in this one, you’ll still snap one of the best Instagram photos you’ve ever taken (although it may be hard to convince others that that vivid blue truly is #nofilter). 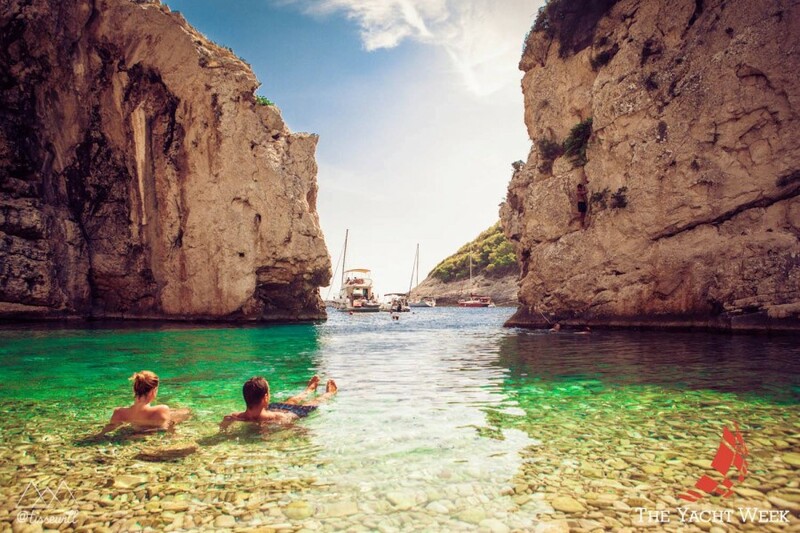 Another reason to rent a boat while you’re in Hvar is to see gorgeous hidden beaches such as Stiniva Bay located near the caves and only accessible via boat. 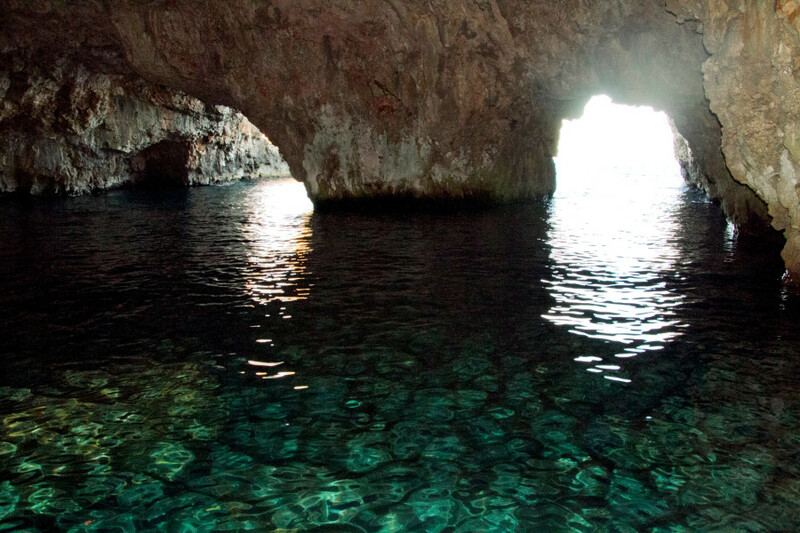 A perfect day trip (one you’ll never forget) would include an excursion to the caves and Stiniva Bay, one of Croatia’s hidden gems. Croatian wine just might blow your mind. For the equivalent of $3, you’ll get a glass so delicious it would likely cost $20 for something of a similar quality in Vancouver. Croatia has the perfect vine-growing climate, boasts an awesome variety of indigenous and regional grapes, and the quality of what you’re drinking will speak for itself. Check out Hotel Boskinac in Novalja (on the Island of Pag) for an amazing wine tour to see what it’s all about, but beware: You’ll taste wine so good, a glass of BC wine will never compare. When it comes to cuisine, Croatia is ingredient-rich, with fresh produce and delicious local seafood in abundance. 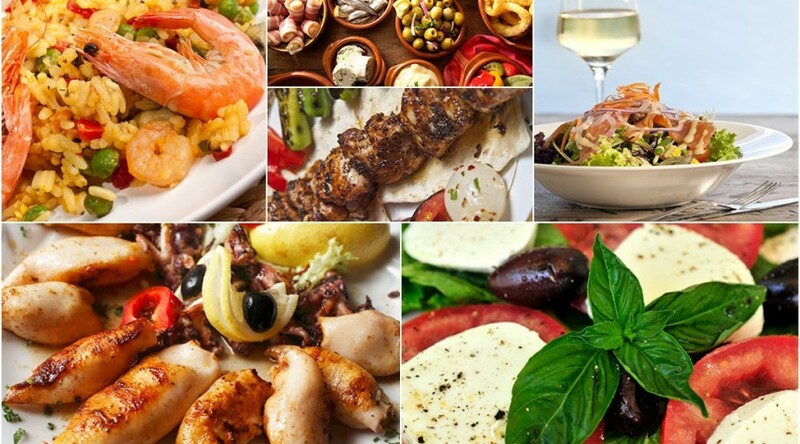 In Croatia, you get Mediterranean cuisine with a twist. For example, Croatia’s amazing cheese that you’ve likely never heard of: Pag sheep’s cheese. The island’s intense winds spread the delicious salt of the Adriatic Sea everywhere – even onto the vegetation that the sheep graze on. This provides the island of Pag with the ability to produce some of the finest fromage you’re ever likely to eat. Croatia’s climate is also perfect for the cultivation of olives. In fact some of the olive trees in Croatia are a staggering 1,600 years old. Most of the restaurants you dine at in Croatia will offer you fresh bread with Croatian olive oil as a complimentary starter, and believe me – it’s so good you’ll consider skipping the main course and feasting on bread with olive oil all evening. Turns out it’s not just millionaires who can see the world from a yacht. Yes, Croatia really does have an organized event called Yacht week and it’s just as amazing as it sounds. All you need to do is round up a group of friends keen on exploring Croatia, choose a yacht, choose your desired week, and let the yacht week team organize the rest. With the wind in your hair and the sun beaming down on you, your yacht will take you to famous ‘hidden’ beaches, the town of Hvar, the blue cave, the green cave, party beaches and more. Your group will also get exclusive wristband access to parties and events. Imagine being with a group of friends on a gorgeous yacht, sailing the Adriatic sea and stopping at several of Croatia’s unbelievable stops along the way. It’ll feel like a million bucks. Croatia will fuel even the most disenchanted traveler with a sense of intrigue, discovery and adventure. Croatia is home to the one of the world’s greatest travelers, Marco Polo, as well as ancient ruins and historical sites. Besides Dubrovnik’s medieval walls, other must-sees include Brijuni National Park, located on a sunny Adriatic island just off the Istrian peninsula. While touring Brijuni National Park, you’ll find the Roman and Byzantine ruins, a 1,600-year-old olive tree and 100-million-year-old dinosaur footprints. Now that’s history.